BMW Canada was formed in January 1986 to support BMW customer’s better, bringing services closer to many local enthusiasts through a stronger presence and structured organization. 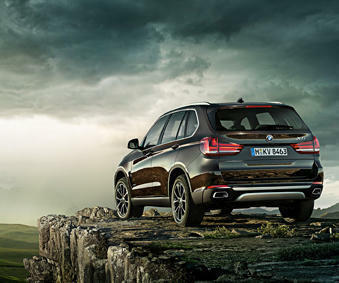 If you are wanting to purchase a vehicle from Budds’ BMW Oakville, then you should know that you are purchasing a vehicle from a dealership that is directly in line with BMW Canada Inc. standards. Budds’ BMW Oakville has included some information about BMW Canada Inc. and if you would like to learn more, we recommend that you continue reading this page. In 1992, BMW divided Canada organizationally into three regions corresponding to the main concentrations of population to support the retailer organization better in providing high levels of sales and aftersales performance. In addition to the Whitby-based headquarters, BMW introduced regional offices in Montreal, Que., and Vancouver, B.C., with Ontario being served from Whitby. To support its overall efforts of continued service improvement and anticipating the changing need of customers, BMW Canada established BMW Financial Services, offering first leasing products in 1994, followed by retail financing in 1995. Expansion of parts distribution business resulted in new facilities opening in Richmond, BC, and Whitby, Ontario. In 2008, BMW Group Canada sales amounted to 28,149 resulting in the 17th consecutive year of increasing sales, unmatched in the Canadian automotive industry. Sales of BMW Motorrad products peaked at 1,627 in 2007. 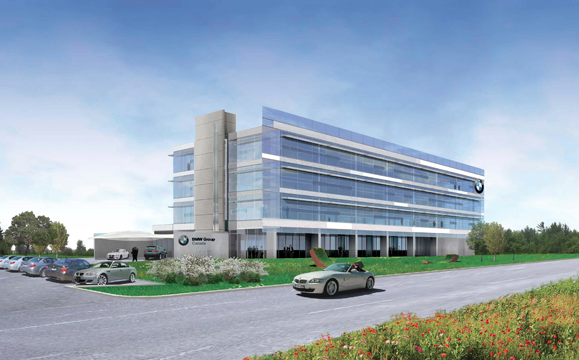 The consistent growth has paved the way for plans to relocate the headquarters of BMW Group Canada from Whitby to Richmond Hill, Ontario in 2009. For many people, driving a BMW vehicle has been a dream, and at Budds’ BMW Oakville we are happy to make that dream a reality. Our team at Budds’ BMW Oakville is made up of people who believe in our vision as a company: “To treat others as you want to be treated.” If you treat people the way that you would want to be treated, than everything else will work out just fine. Our staff at Budds’ BMW Oakville stands by this theory and it is the main reason that we have been a very prosperous business for over 40 years. We have some very highly trained experts that have made Budds’ BMW Oakville a career and their main focus is customer satisfaction. Other companies and brands can try and replicate our facility, mimic our process and offer the same products, but noone can match the quality and dedication of our people. Budds’ BMW Oakville is in direct correlation with our corporate standards and that is evident by our high quality premium vehicles and our dedication to customer experience and satisfaction. For more information about BMW Canada Inc. or our dealership at Budds’ BMW Oakville, please feel free to continue browsing through our website. Also, check out our blog page for more interesting content. We can be reached at (905)845-3577 or by filling out our contact form. By submitting your email address or phone number, you allow us, Budds’ BMW, to include you on our contact lists to send you information about our products, services and promotions. You may revoke consent at any time by clicking on the "Unsubscribe" link in your email.